Today marks exactly 2 months until our wedding! 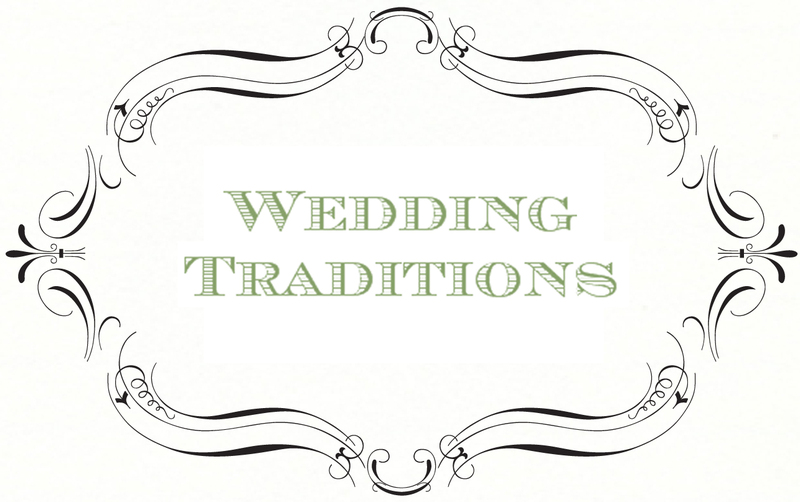 To celebrate, we thought we’d post on the origins of some common and not-so-common wedding traditions. The best man. In ancient times, men sometimes captured women to make them their brides. A man would take along his strongest and most trusted friend to help him fight resistance from the woman’s family. This friend, therefore, was considered the best man among his friends. In Anglo-Saxon England, the best man accompanied the groom up the aisle to help defend the bride. Additionally, the bride would stand to the left of her groom so that his sword arm was free! The bridal party is a tradition that has been established for many centuries. For a long time the purpose of the bridal party was to fool evil spirits. The bride’s friends dressed similarly to her in order to confuse any virulent presences that might be lurking about. Today bridesmaids are there to support the bride in the stressful times leading up to and during the wedding. “Something old” represents the bride’s link to her family and the past. The bride may choose to wear a piece of family jewelry or her mother or grandmother’s wedding gown. The origin of the tiered wedding cake also lies in Anglo-Saxon times. Guests would bring small cakes to the wedding and stack them on top of each other between the bride and groom. It was tradition for them to attempt to kiss over the tower without knocking them all down. Later, a clever French baker created a cake in the shape of the small cakes and covered it in frosting, called a “croquembouche,” (essentially a tower of cream puffs coated with caramelized sugar). Flowers replaced herbs in the wedding ceremony as symbols of fertility, new life, hope and to ward off evil spirits. The first bouquets consisted of herbs and, later, orange blossoms. Ancient Athenians wove mint and marigolds, which they believed to be aphrodisiacs, into bridal garlands and wreaths. Roman brides carried wheat for fertility, rosemary for virility, and myrtle for long life. European brides in the Middle Ages carried pungent herbs such as garlic and chives to prevent jealous spirits from disrupting the couple’s happiness and Victorian brides popularized the notion of the “language of flowers,” carrying certain flowers based on their associated sentiment. The bridal veil has long been a symbol of youth and modesty but it was also used to ward off evil and disguise unattractive brides from their grooms until after the vows had been said! The custom of favors originated in Europe during the Middle Ages, when bonbonnieres, or boxes filled with sugar cubes, were given to guests. A wedding was considered a lucky occasion then, and by passing bonbonnieres and other treats onto wedding guests, couples were “bestowing” their good luck upon their guests. In most cases, these lucky gifts consisted of five almonds or pieces of candy which represented fertility, health, wealth, happiness and longevity. Saving the wedding cake. First comes love, then comes marriage, then comes a baby in a baby carriage! It used to be assumed that when there was a wedding, a christening would follow shortly. So rather than bake two cakes for the occasions, it made more sense to bake one big cake and save a portion to be eaten at a later date when the squealing bundle of joy arrived. The notion of sleeping with a piece of cake underneath one’s pillow dates back as far as the 17th century and quite probably forms the basis for today’s tradition of giving cake as a “gift.” Legend has it that sleepers will dream of their future spouses if a piece of wedding cake is under their pillow. Traditional Italian brides and grooms forgo the limo and walk to the chapel on foot. In certain villages, residents throw symbolic obstacles in their path to suss out their future as man and wife: If a broom lands at the bride’s feet and she picks it up, for example, she will be a stellar house-cleaner. After the wedding ceremony, Italian couples shatters a glass or vase — and do their best to pulverize it, since the number of pieces represents the amount of years they’ll stay happily married. In Sweden, the bride wears a crown belonging to the her family or church and a gold coin in her right shoe and a silver one in her left for good luck. Making walking even harder, her shoes stay unlaced to improve chances of an easy childbirth. Later, men dance vigorously around the bride to knock her crown off; the victor is ensured good luck. In India, the bride does not carry a bouquet but flower petals are often sprinkled over the couple to ward off evil. In Sweden, traditional weddings will feature bridesmaids carrying little bouquets of aromatic herbs and the groom with thyme in his pockets to keep trolls at bay. Russian grooms have to work for their brides. Before the wedding, the groom shows up at the bride’s home and asks for his beloved. 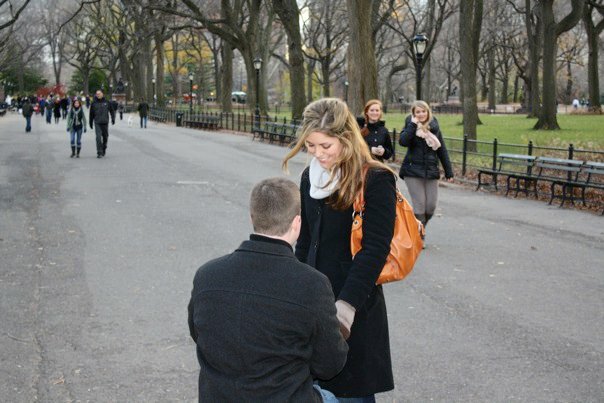 In jest, her friends and family refuse him until he pays up in gifts, money, jewelry or simple humiliation. Grooms are forced to do silly dances, answer riddles, and perform goofy tests of worthiness like diapering a baby doll. Once the groom impresses friends and family with this bridal ransom, or “vykup nevesty,” he’s allowed to meet his bride-to-be. That last one sounds especially amusing.